Hi there and happy, happy Friday to each and every one of you! I hope all is well in your world, the weather has been beautiful here and I am looking forward to the weekend! 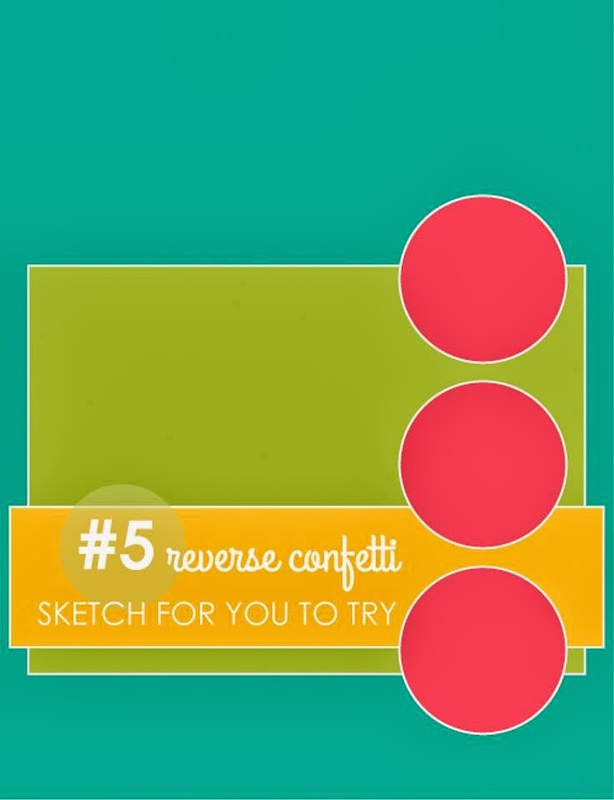 Today, I am sharing a card I created using the October Reverse Confetti Sketch For You To Try. As soon as I saw the sketch I knew what I was going to do. Everything except for the black card base was scraps that were left from previous stamping sessions. I started by pulling out the Reverse Confetti Peacock Pretties set and stamping the feather image several times onto the light green cardstock. Next, I spritzed the stamped panel with Edelweiss Moss Green Starburst Spray from Lindy’s Stamp Gang. You can’t tell, but there is the prettiest shimmer to this card. Because the spritz warped the cardstock a bit, I used Tombow Power Bond Adhesive to adhere the panel to the black card. I embossed a purple panel and adhered it to a black panel using Tombow Power Bond as it is great to use when you are working with items with texture. I stamped the icons and sentiment with black ink onto some of the light green cardstock and cut it out with a circle punch and layered to a black and then purple circle using Tombow Mono Multi and then they were popped up using Tombow Foam Tabs. Some Doodlebug pearls were added as a finishing touch. Thanks for stopping by today, be sure to stop by tomorrow for the OWH WCMD Blog Hop.